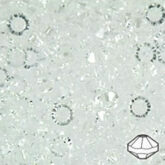 Fast, Fun and Easy crafting plastic. 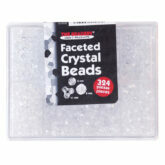 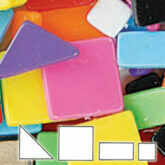 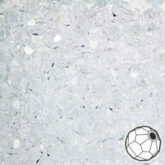 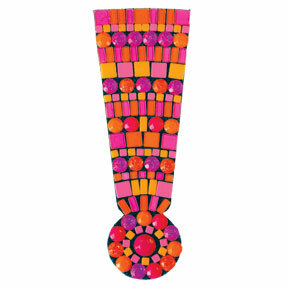 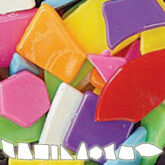 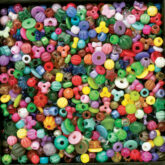 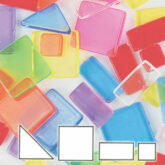 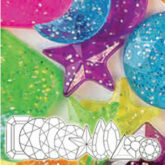 We just made mosaic work fast, fun and easy with our self adhesive crafting plastic sheets. 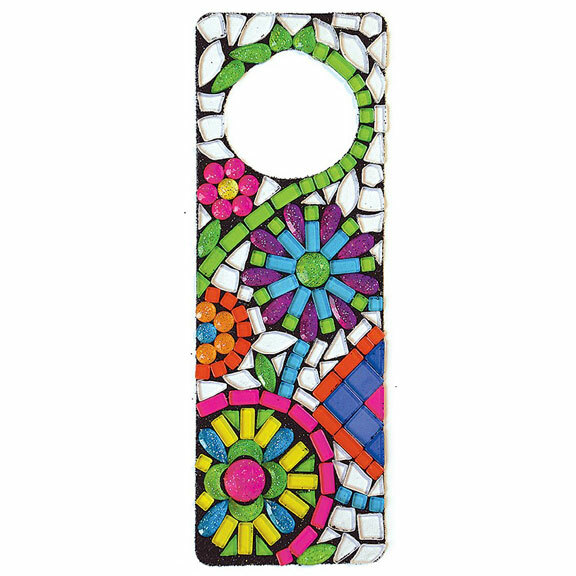 Just peel off the protective covering to expose the adhesive and place your decorative elements on the surface to stick them. 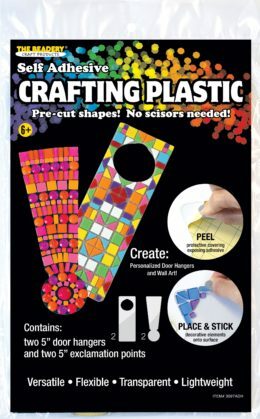 The crafting plastic is also easy to cut with scissors so you can modify the shape if you want and it works well with our Clearly Mosaics™ geometric or broken mosaic pieces or any flat back stones.